Preface	1. Technology: Bane or Blessing? Let me be as up front as possible about my biases on this subject. I’m a technologist with education and experience in the field of Computer Science and software development. In my lifetime I’ve witnessed the emergence of the mainframe computer industry in the 1960s and 1970s, the personal computer industry in the 1980s, the Web in the 1990s, and the handheld device and smart phone industry in the 2000s. I really like technology, and I have loved spending my career in such an exciting and fast-paced industry. Beyond the “gee-whiz” factor of devices and gadgets, I’m very interested in the ways technology can benefit mankind. I’m also excited and encouraged by the ways technology is helping move forward the work of the Lord’s kingdom on Earth. President David O. McKay spoke of commercial air travel becoming viable just as the Church was expanding across the world, suggesting the Lord’s inspiration in the advent of this technology. President McKay was already 30 years old when the Wright brothers flew an airplane 120 feet on the beach at Kitty Hawk, North Carolina in 1903. By the time he was ordained President of the Church half a century later, international air travel was part of the fabric of society. President McKay saw the growth of a worldwide church and the rise of technologies to facilitate it. Some years ago I watched with great interest as the name extraction program transitioned from hand-delivered CDs to an Internet-based system. As a result of that technological transition, name extraction has increased by several orders of magnitude. At the same time, dozens of new temples were being built and dedicated, creating an unprecedented level of temple attendance throughout the world, with an accompanying increase in the demand for names of deceased ancestors to take to the temple. Innovations in family history technology promise to facilitate more ready access to family history records and an easier, more user-friendly path to the temple for those names. I believe the Lord is involved in the advent of these technologies. For all of my excitement about technology, please understand that I’m not naïve about the dangers of technology—the dark side, if you will. The fact is, wherever and whenever something of value has ever been created on this earth, the adversary has always shown up with a counterfeit to muddy the waters. There are no exceptions to this rule. In a real way, the Internet is simultaneously the most powerful technological force for good the world has ever known and possibly the most powerful force for evil as well. 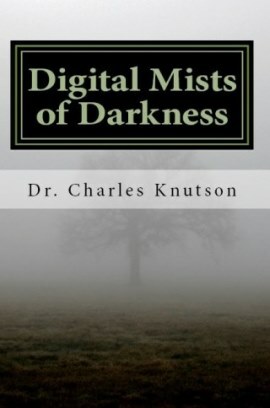 My hope is that readers of this book find themselves properly warned about the dangers and risks associated with technology, and empowered with practical help in dealing with the challenges. Those challenges haven’t abated since I launched my deep study of Internet safety in 2007 — a recent search produced almost 300 million results for the same search string that yielded 5 million just seven years ago. Technological advances continue to accelerate and parents are increasingly outgunned by their teens when it comes to being tech savvy. My attempt is to educate and enlighten without resorting to fear tactics or broad brush condemnations, to help parents and leaders not “throw the baby out with the bath water,” and in every respect to deal with this important material in a manner consistent with and enlightened by the Gospel of Jesus Christ. 1 Howard W. Hunter, “We Have a Work to Do,” Ensign, March 1995. 2 Boyd K. Packer, “That They May Be Redeemed,” Regional Representative Seminar, April 1, 1977.